English 17. novembris, 2018. 17. decembris, 2018. HOW IS THE STATE BEING LOOTED IN LATVIA? While certain media and some political forces try, by leaking the materials of seven year old operational cases, to maintain the illusion that corruption and plunder of the state are the work three specific oligarchs (two of whom are no longer in politics and do not have a say in anything anywhere) – the uncomfortable truth is completely different. As though nobody sees or notices, corrupt schemes and state looting are going on at a large scale, and are becoming apparent to the naked eye in some cases. News and suspicions of corruption in bank supervision and the financial sector have sounded out loud and clear. We might eventually deal with mandatory electricity procurement component (OIK) schemes, the construction cartel, waste management and corruption at law enforcement institutions. I will talk about a classical scheme where the Latvian state loses, and one individual earns, nearly 100 million euros. The scheme is essentially primitive misallocation and looting of state property worth dozens of millions. The story is simple. In 2007, the shares in Ventspils company “Ventbunker” held by Lembergs and his family members were seized. The Latvian state transferred these seized shares into management – but not to a management institution or capital company owned by the state and professionally engaged in things like it; and there was no tender announced for selecting an international asset manager. Instead, the prosecutor general’s office handed all of these shares to a certain Swiss citizen named Rudolf Meroni with no tender of any kind. Mr Meroni, instead of preserving this potential property of the state, sells off part of it and transfers the rest to companies he owns. In fact, the sale takes place at a price point that is obviously, egregiously too low. If that isn’t enough, guess where the money goes! To a company held by the wife of a partner of this specific individual; in fact, it is at Rudolf Meroni’s disposal. The result is simple – the Latvian state is happily relieved of the value of its seized shares as the shareholder. The individual, meanwhile, is made some 100 million richer. What is hardest to believe is that, in a civil procedure trial, the English court tried to seize the shares as collateral in a civil case against Lembergs, when it found that Meroni had maliciously, with personal interest, attempted to have the assets that were entrusted to him registered in favour of a company to sell off later. The English court cannot relieve Meroni of custody of the assets since he was appointed by prosecutors in Latvia, so the court decides to appoint other custodians alongside Rudolf Meroni – Big Four audit company KPMG – to prevent him from looting the assets entrusted to him by the prosecutor in Latvia. Of course, Meroni does not like this, and manages to remain the sole custodian with assistance from the prosecutor’s office in Latvia. Meroni’s illegal acts have been reported to law enforcement institutions in Latvia by everyone – from Lembergs himself, to his opponents, to people in the media. Even the British courts got involved! But no law enforcement institution in Latvia has found anything suspicious about them. On the contrary, the Constitution Protection Bureau (SAB) has actively intervened in the matter and is doing everything it can to support and facilitate Meroni’s conduct. Sadly, the degree of corruption in Latvia is such that some parties covered by very influential people such as those abetting Meroni, are not too afraid; they don’t even conceal their actions. In the events I have described, the only thing up for discussion is the sum of 100 million, which I believe is an underestimate. I know some have calculated it to have only been equal to 60, others even less. That is something we will talk about later; whatever the calculations, the amount is astronomical, and the outcome is clear: the state handed over custody of dozens of millions in assets to a foreign national without so much as holding a tender. The value of these assets is now at or very close to zero, and the foreign national has acquired complete control over the remaining transit assets of “Ventbunkers” and “Latvijas nafta”. You would certainly like to know which officials were responsible for handing over Latvian state property to this individual and allowed all of this to happen, knowing full well what was going on. Who covered up, supplied and facilitated each episode of this national-scale thievery by Meroni? The officials are known. These are specific individuals working at the Prosecutor General’s Office and the Constitution Protection Bureau. It may sound fantastic but it’s true – an intelligence and counter-intelligence authority is involved in management of seized assets, defying any logic, authorisation or legal basis. If this is not plunder of public property, what is? I actually think this case concerns crimes that are much more specific than abstract state plunder. However, considering Mr Meroni’s active interest in financing certain parties and media outfits, which is something we will hear about later, the notion of state plunder is very suitable indeed. The media silence and the suspension of any investigation achievable by the Constitution Protection Bureau and by the prosecutors (or, on the contrary, noise, publicity and activity where necessary) give rise to a sense of professional wonder (so does Rimšēvičs’ nervous system). However, such primitive movement of property from the state to private pockets was unprecedented even in times of predatory privatisation we saw in the 1990s. 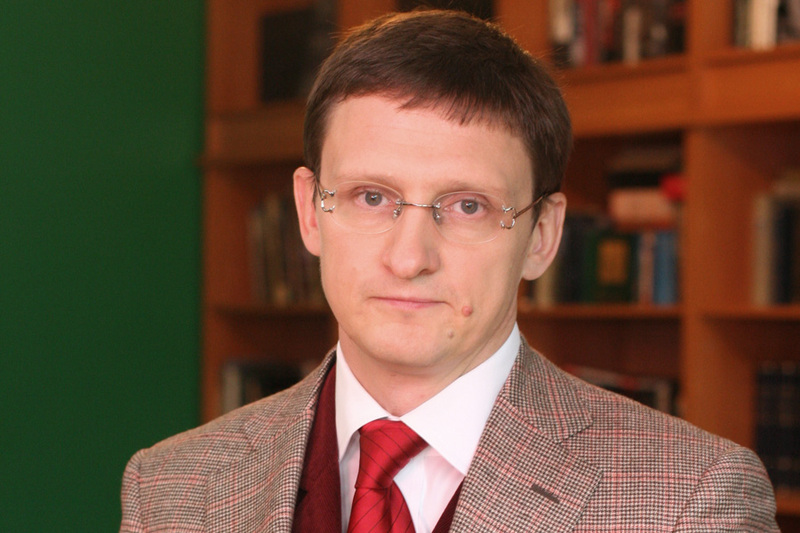 The only thing making this possible is that the Constitution Protection Bureau is responsible for the assets, and everything is being covered up by Jānis Maizītis (during his tenure, the Prosecutor General’s Office decided to hand over custody of the assets to Meroni without a tender) and the SAB. Please watch this video from 2011, where Meroni talks about being asked to take custody of Lembergs’ assets by the Prosecutor General’s Office. While you watch, consider that (besides the part seized by the state) he is currently the only ultimate owner of all assets listed and other assets in Ventspils not yet sold.